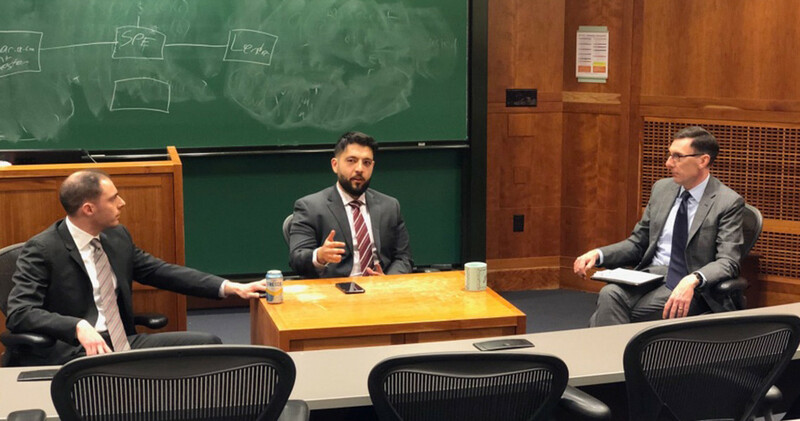 Wahed was recently invited by the Muslim Law Students Association and the Virginia Law and Business Society at The University of Virginia School of Law. Samim Abedi, Wahed’s Global Head of Portfolios represented Wahed in the Islamic Financial Panel on Wednesday, March 20th where he discussed Wahed mission, milestones, and the growth in the Halal Investing space. Other panelists included Aamen Nsouli, a sharia-compliant financing associate at King & Spalding, a leading international law firm. Mr. Nsouli shared insights around Islamic Finance as it relates to structuring private equity and financing deals. Professor Thomas Nachbar, a senior fellow at The Center for National Security Law, moderated the panel. Since inception, Wahed’s mission has been to provide a simple, easy and affordable platform for halal and ethical investments in the USA and around the world. A big part of what Wahed does is to ensure security and compliance with financial laws and regulations to protect clients as much as to protect the industry. Samim engaged with future financial lawmakers who asked interesting questions concerning the importance of ethical conduct of business in relation to corporate law, financing and structuring, and investment portfolios. He met with students from different religious backgrounds who were intrigued by the intersection of faith, wealth, and investment that Wahed embodies as an organization.